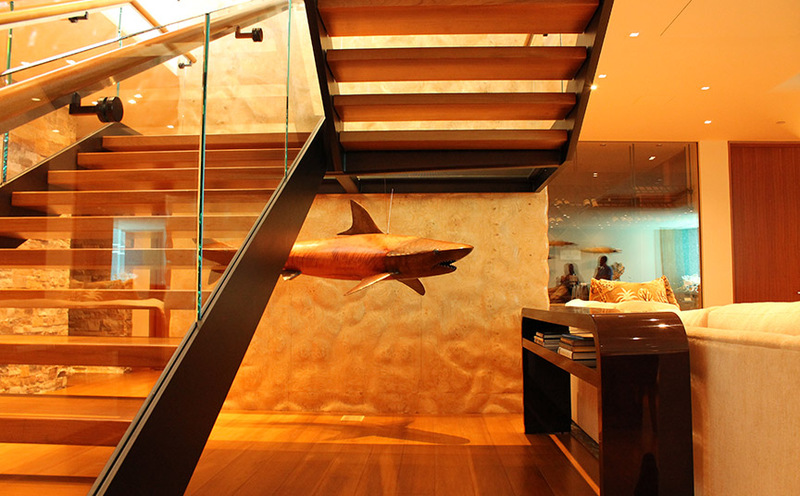 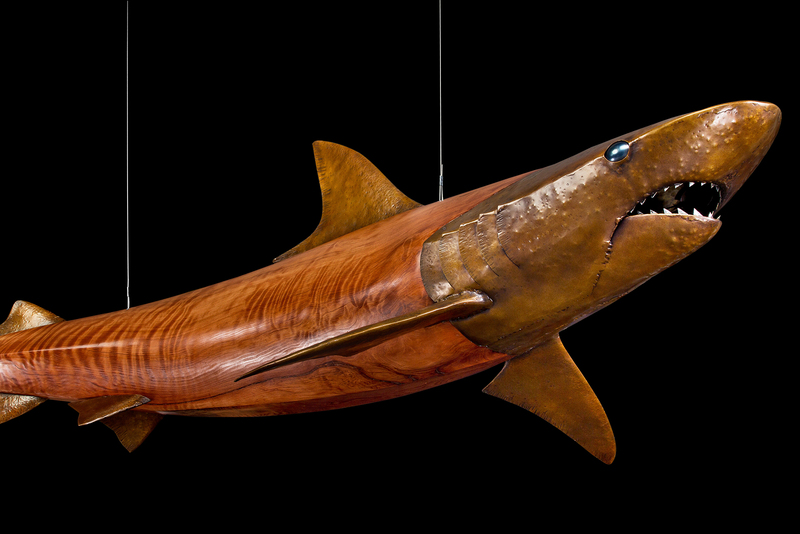 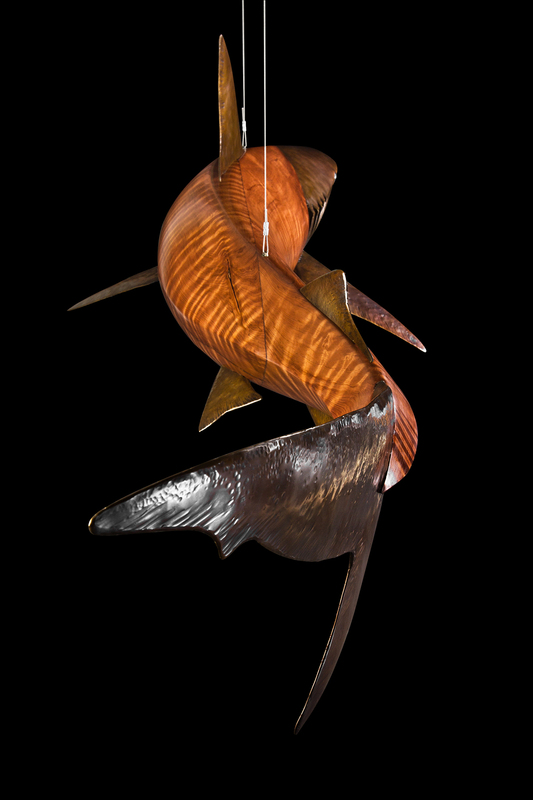 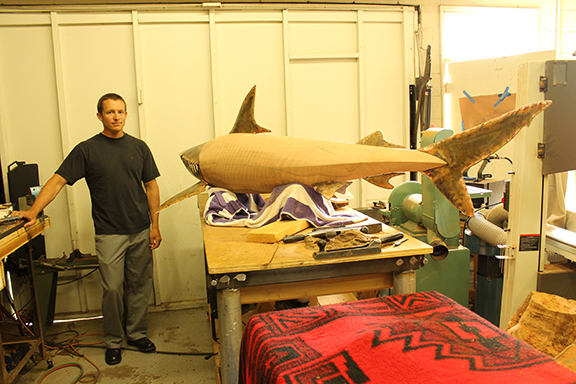 Tiger Shark was a commissioned piece to be installed under a glass landing in a private residence, so it would be suspended by cables and viewed from the top down as well as at eye level. 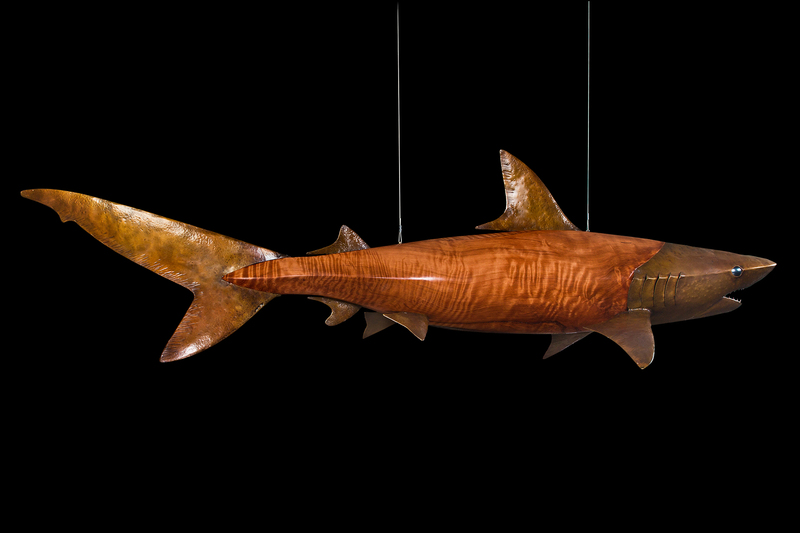 This allowed an opportunity to showcase the beautifully fluid curves that sharks demonstrate when they’re swimming. 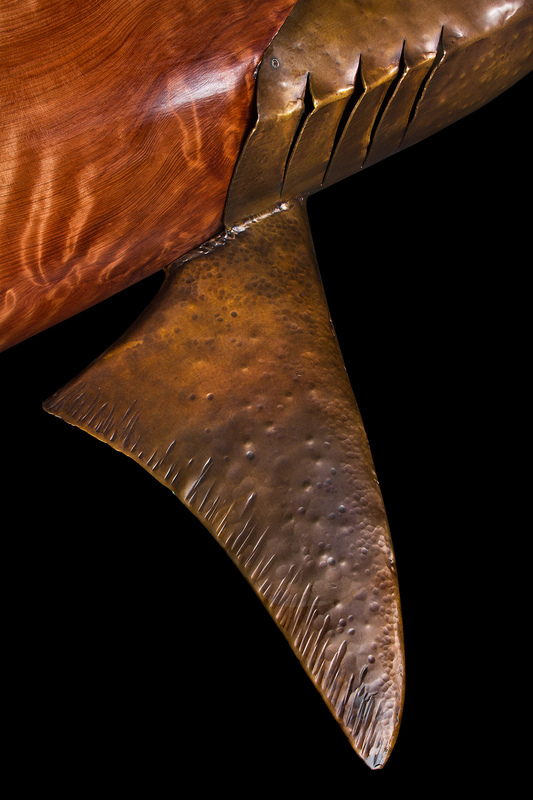 Curly redwood was selected for the body to represent the beautiful tiger-like striping natural to this species.